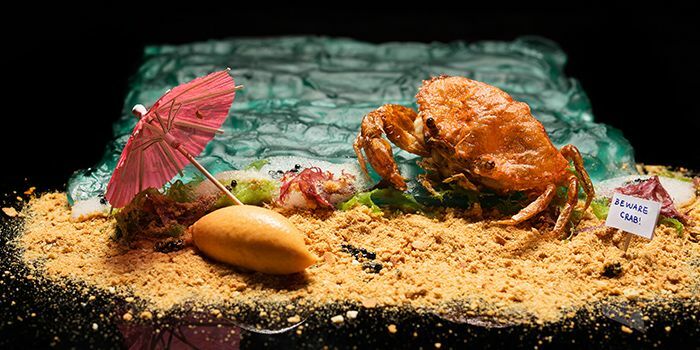 Despite being located in one of Singapore’s busiest malls, this restaurant is a world away from its hustle and bustle. From the airy skylights to the natural wood furnishings, everything about The Botanic is carefully curated to create a restorative atmosphere for guests. Diners looking for an escape from the rush of city life are sure to rejuvenated by the innovative experience here. The menu here focuses on fresh, eco-friendly produce, and using a mix of Western and traditional Asian techniques to bring out the natural flavours of ingredients. 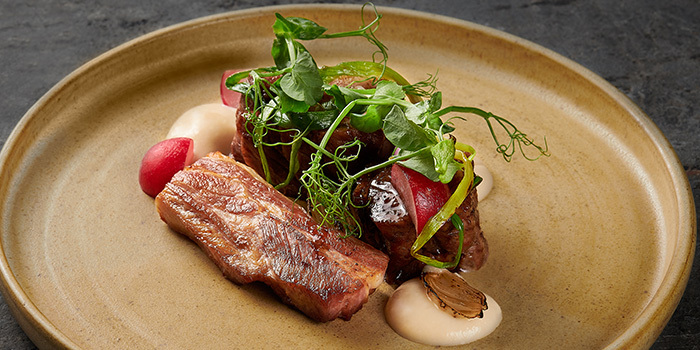 A prime example would be the Sambal Smoked Short Rib, a delicious dish inspired by Indonesian cuisine and cooked smokehouse-style. 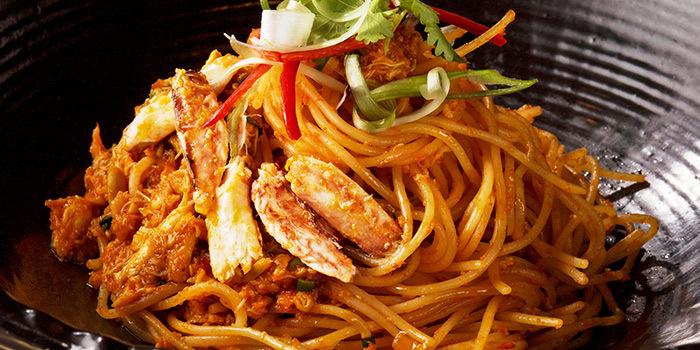 This dish is spicy, sweet, and melts in the mouth from the first bite. Prefer something a little less meaty? Opt for the Grilled Halloumi - made with a generous serving of grilled chunks of cheese with tangy pomegranate molasses and heirloom tomatoes, this dish is not only pretty to look at, but delicious as well. Enjoy 10% off at The Botanic Restaurant when you purchase vouchers from ChopeDeals. Vouchers are not valid with 'Chope Exclusives', other discounts and promotions. 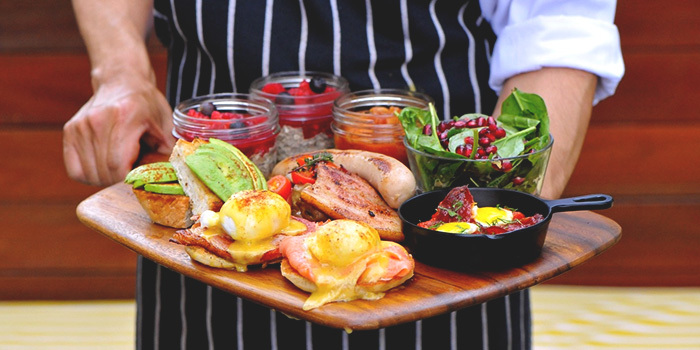 For just one day only on 27 April 2019, head down for 'Brunch of Fun' at The Botanic where diners get to be the first to sample the restaurant's new dishes as well as savour classic culinary delights from Executive Chef Shannon Binnie and his team - with all dishes under $10! Bring in the fun to your brunch with a complimentary welcome cocktail upon arrival, followed by an exciting lineup of live food stations to choose from. 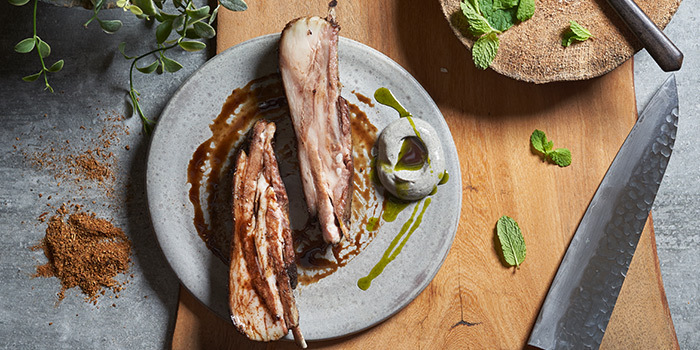 Showcasing an array of plant-based dishes with vegan, vegetarian and gluten-free plates alongside free-range, organic meat and seafood offerings, diners are definitely spoiled for choice. From off-the-menu plates such as the all-new vegetarian Roasted Pumpkin ($6++), adorned with verde, smoked Persian feta, and tabouli, to the delectable Glazed Organic Pork Ribs ($9++) and BBQ Brisket Sliders ($9++), there is something for everyone. Diners can also indulge in a selection of The Botanic’s signature fruit-forward cocktails; or head to the gin bar complete with Fever Tree tonic. For a non-alcohol option, keep it cool with their refreshing mocktails and revitalizing teas alongside groovy beats by DJ Adri. The Botanic will also be offering a special sit-down 5-Course Set Menu at just $89++ per person coupled with free flow Asahi beer and sparkling wine. Tease your appetite with warm Hummus flat bread, paired with olives, followed by their Yellowtail Kingfish Sashimi. For a healthy balance, savour their Charred Cauliflower with tahini, pomegranate, macadamia dukkah, parsley & coriander. The Burrata with panzanella, smoked olive oil, Thai basil and Kalamata olives is sure to delight, as well as the Slow Cooked Lamb Shoulder, with Pedro Ximenez, mint yogurt, house pickles, eggplant jam, alongside fragrant basmati. Conclude the meal with The Botanic’s vegan Pavlova, paired with passionfruit, mango, coconut - a fitting tribute to Chef Binnie’s Australian and vegan roots.